The third annual Mann Financial Golf Classic, hosted by the Mann Financial Foundation, was held July 12 at the Perham Lakeside Golf Course. The event drew 60 golfers and raised a total of $13,500 after a donation from the Mann Financial Foundation. Hospice of the Red River Valley was selected as one of six local charities to receive $2,000 from the event funds. 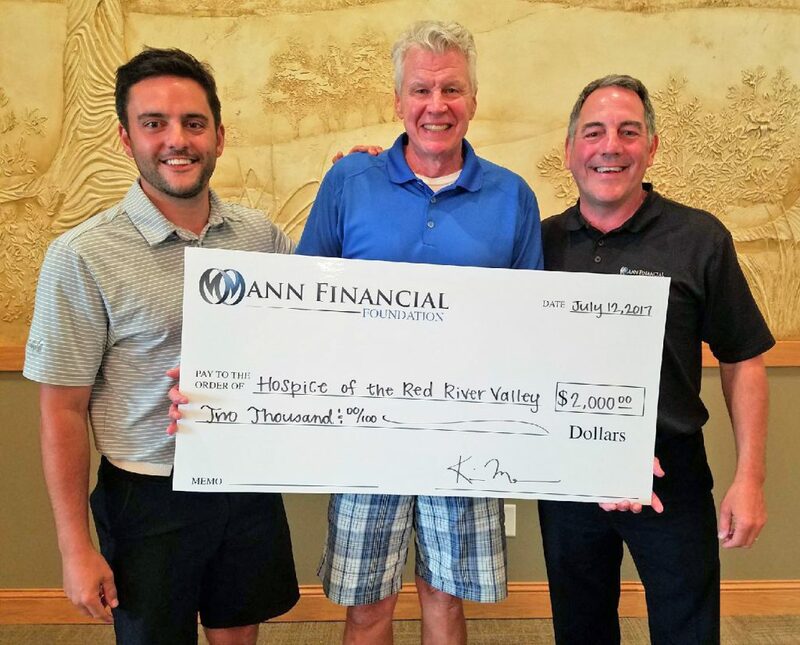 Thank you to Mann Financial for their generous support of Hospice of the Red River Valley!